Someone asked me how all those electronics vendors in the Huaqiangbei make money. There are so many vendors, and many of them seem to sit there all day with relatively few customers coming by. Many vendors are too busy looking at their laptops or phones to even care if you look at their products (friendly customer service is not a strong concept here). In fact, the truth is that the one or two piece orders from hobbyists like myself are a distraction to their main purpose which is to sell to other businesses. Most of the kiosks in the market represent a factory somewhere in China, and their primary goal is to sell large orders to other business. Throughout the market, you’ll see visitors from India, America, or Europe working with vendors and negotiating large orders so that they can import and resell them. Many of these kiosks also sell through Aliexpress, Taobao, or Alibaba.com, and there is always the sound of packaging tape being used to tape up boxes for shipment for orders placed through these channels. 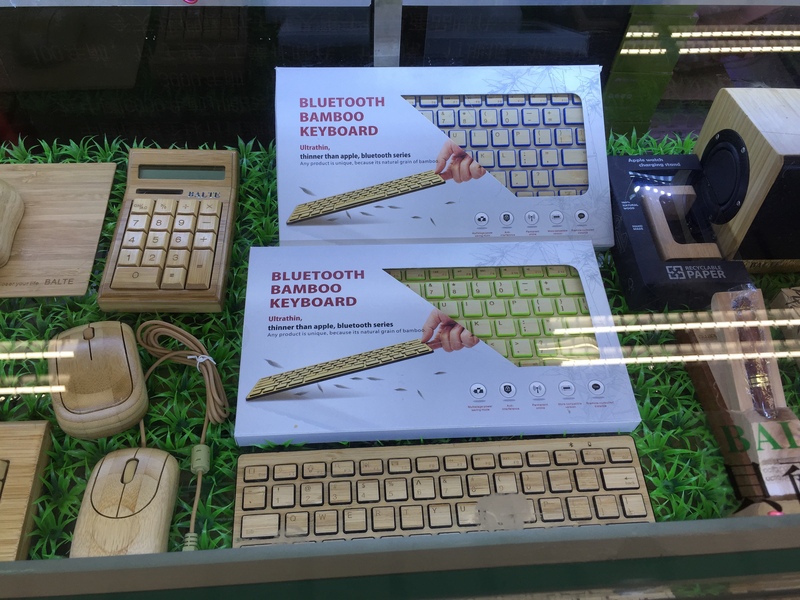 Bluetooth bamboo keyboard, mouse, and calculator. They quoted me 240 RMB ($38) for the keyboard. 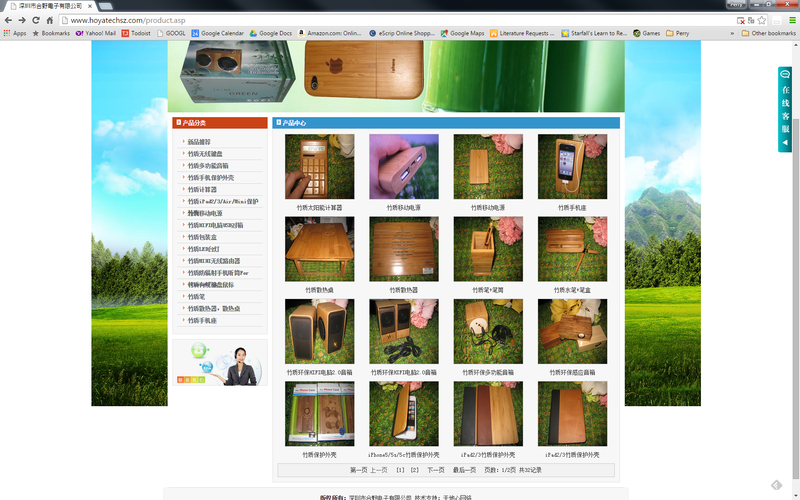 The photo above is from a booth that sells electronics products that are made out of bamboo. There are mice, keyboards, Bluetooth speakers, calculators, and many other products. The finish and quality are actually quite impressive, and there is quite a variety of products. More products are shown on their website. The process is a bit complicated, but it’ll save you time and headaches in the long run. If you’re successful at this, the last thing you want to be doing is packing and shipping boxes every day. Contact the factory and negotiate a bulk order (which will probably have a minimum order value of several thousand dollars). Most all of the kiosks here will give you a business card with some sales director to talk to. Many of the vendors work with FBA companies all the time, so they’ll know exactly what to do with regards to packaging and shipping. Reading and writing Chinese is a big help in this phase. There are lots of companies doing this already (two examples in the table below), you’ll want to differentiate by developing a brand and maybe even your own storefront to maximize your profits. It is obviously quite a competitive business area, but at least some folks are making money out of it. Next Next post: Dancing Penguin Robots!